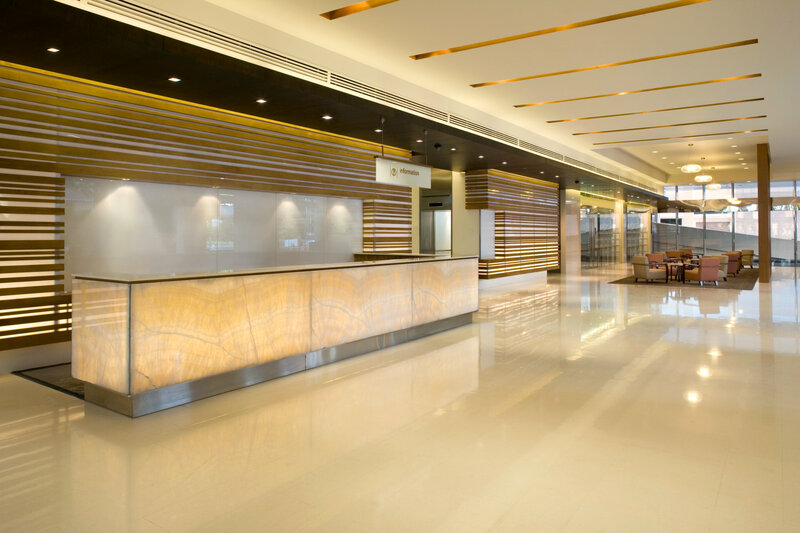 Lighting for the hospitality sector is much more than a necessary technical installation. As a design element, light is an important element for the well-being of guests and employees. LEDVANCE’s hospitality portfolio shows how this feel-good atmosphere can be achieved despite the ever-present cost pressures. As experts in general lighting, we offer a wide selection of LED lighting solutions as part of atmospheric and energy-efficient room designs as well as smart lighting controls to cover all demands. Whatever the function – from gala dinners to conferences – your rooms will always appear in the best light. Light in hotels and restaurants should create a pleasant atmosphere – and much more. Hospitality lighting should also save energy, be easy to integrate in light management systems and innovative lighting control concepts, and, not least, provide security and emergency functions. HOSPITALITY - OUR HIGHLIGHTS FOR YOUR LIGHTING! Good hosts are always open to the needs and wishes of their guests. Our hospitality portfolio follows the same principle. We provide a broad range of LED products for restaurants and hotels that create a unique and inviting atmosphere. The best example is the vintage-style Edition 1906. Our LED Flex range provides tailored lighting even without luminaires. On all our products the use of stable materials ensures durability – and thanks to low electricity costs upgrading to our LED products very quickly pays for itself. In other words, just what you need!